Slavery has existed in human societies for thousands of years, with many civilizations across different continents subjugating people and using them as forced labour. Its arrival on the North American continent, therefore, was not a new idea but rather the arrival of a long established habit of abuse. Slavery by European settlers in North America first began in the Caribbean, where locals and Africans were forced to work on plantations.In 1526, a Spaniard named Lucas Vázquez de Ayllón, who had been working in Hispaniola as a plantation owner, decided to establish a colony in San Miguel de Gualdape, in what is now South Carolina. He brought with him a selection of slaves taken from Hispaniola and Africa. 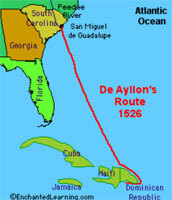 Ayllón’s colony was not a success. Within 3 months the slaves had revolted and the colony abandoned. However, San Miguel de Gualdape had become some notable American mainland firsts: its first European colony; the site of its first Christian mass; the first use of slaves; and its first slave revolt. As European exploration turned further towards colonialism in the 16th and 17th centuries, slavery became more prevalent. Initially the slavery conducted by Spanish and Portuguese ‘conquistadors’ in South America dwarfed that done further north (perhaps only 5% of African slaves ended up in North America in the mid-17th century), but this began to change. As European settlements in North America grew, and plantations were created that produced greater wealth and power, slave ownership became the backbone of fortunes. 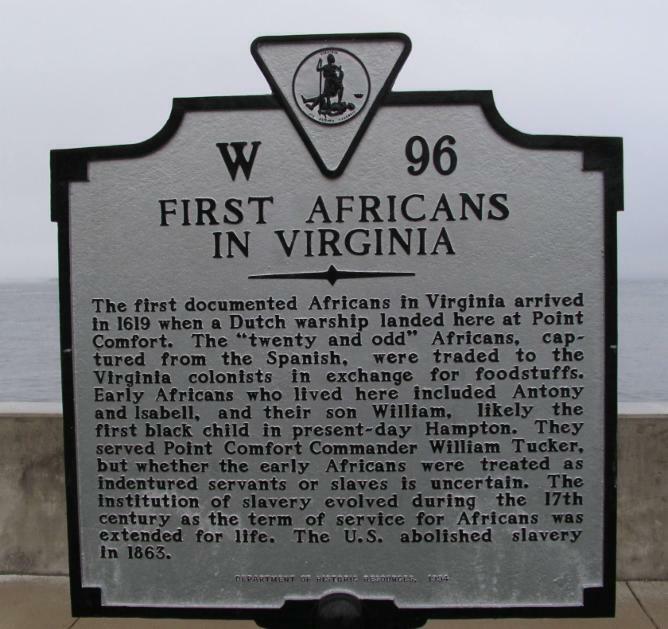 For the British colonies of the 18th century, and then the formative United States in the late 18th and early 19th century, slavery was a huge business. At its peak (around 1808), approximately 4 million slaves were kept in the US. It is believed 8% of American families having a slave, and 1 in 4 of families in the slave-owning states. It is guessed that 12 million slaves arrived in the US. Many more died at sea, or in camps in Africa. 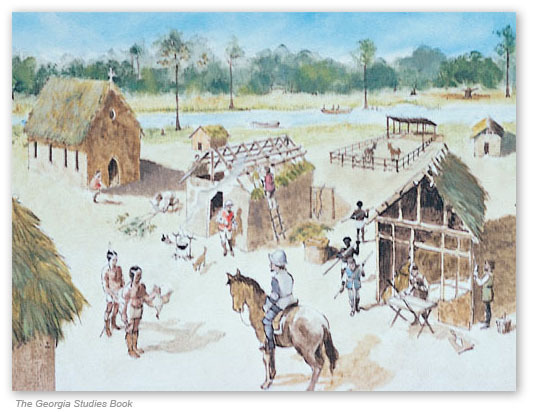 Even prior to arriving in ‘The New World’, slaves were put in horrendous conditions. Those taken from Africa were often put into a form of prison before being put on to boats. 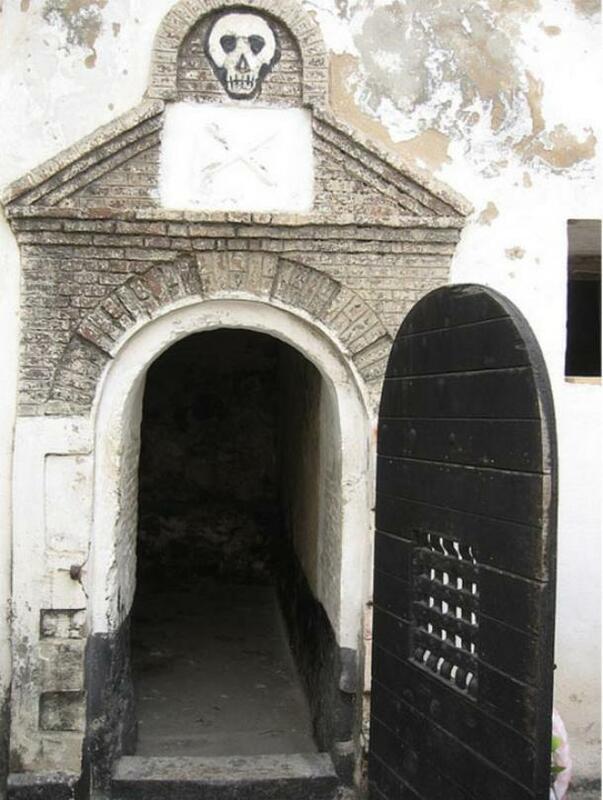 One example of this is Elmina Castle in Ghana, where 1000 slaves would be kept at a single time, with 2 windows, and people often caught diseases or were tortured or raped before being put on boats. The door to the boats was called ‘the door of no return’. Life on slave ships was just as bad. 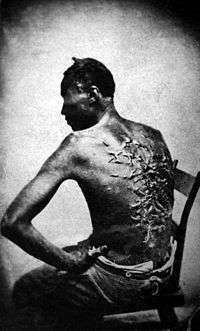 Disease, cramped conditions, malnutrition, and beatings were everyday occurrences, and most slaves were kept in leg irons. The journey could last months, and one in five slaves died. Bodies were simply thrown overboard. Once in America, slaves were transported to buyers or markets. With no freedom or legal rights, conditions depended on the whims of slave owners, which often resulted in long hours, lashings and beatings, rapes, and even lynchings. Prior to US independence, slavery was covered under ‘slave codes’ in each state. Most of these clearly exempted slaves from other rights, and stated rules such as slaves not being allowed off grounds without a white person accompanying them, not being classified as American despite being born in the country, and capital punishment for any slave that hit a master. The fine for killing a slave was less than the fine for helping a runaway slave. The United States became an independent country in 1776, declaring ‘All Men are Created Equal’; however, this did little for slave rights, and the writer of the Declaration of Independence, Thomas Jefferson, was himself a slave owner despite publicly opposing the practice. The only major change to slave law came about because the northern states were worried southern states’ slaves would mean they had a larger population and thus more power – thus it was agreed that slaves would only count as 3/5 of a person for property and tax purposes, in exchange for no changes to slave practices. Even after the Constitution was introduced in 1789, slavery was a matter of individual state laws. The north eventually banned slavery, and the north-side divide grew into the The American Civil War (1861 – 1865). On January 1st 1963, the northern Unionists’ promised to ban slavery nationwide, which ensured southern slaves’ support. President Abraham Lincoln introduced the Thirteenth Amendment outlawing slavery in 1864. Emancipation, however, was merely the start of a long search for civil rights. It is reported that in the 72 years between George Washington and Abraham Lincoln being presidents, 50 of those 72 years had American Presidents owning slaves.